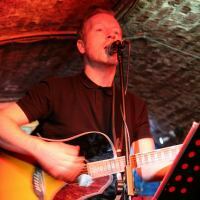 Nick has been playing the Cavern for nearly 20 years, and loves every minute of it! Nick performs with The Grey Twins, every Friday night in The Cavern Pub, and also in The Cave Dwellers on a Saturday night. Come and catch him on a Tuesday afternoon for a sing a long ! It has been said that Nick has the best knees in town ! !